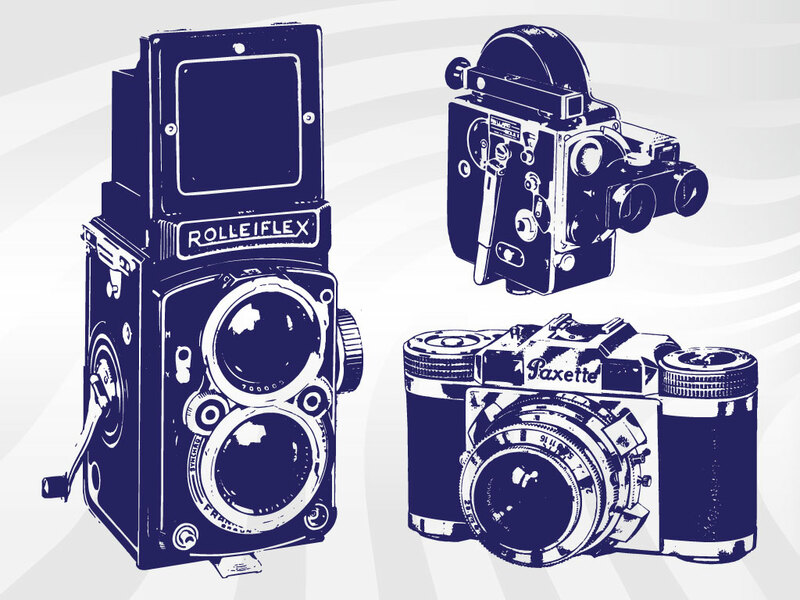 This highly detailed set of illustrated cameras will fit right in to vintage or retro illustrations. 3 Different cameras to use and all look realistic. Tags: Antique, Camera, Film, Movie, Old, Photography, Recording, Vintage.